It’s the End of an Era. Be a Part of It. We’ve cut the episode into short scenes. If you participate, you pick a scene, and film your own take on it. Your work could be chosen to be a part of the final cut — the full episode stitched back together into a completely fan-created version of the pilot episode. It’s Mad Men: The Fan Cut. It’s your chance to become a part of one of television’s most celebrated shows. 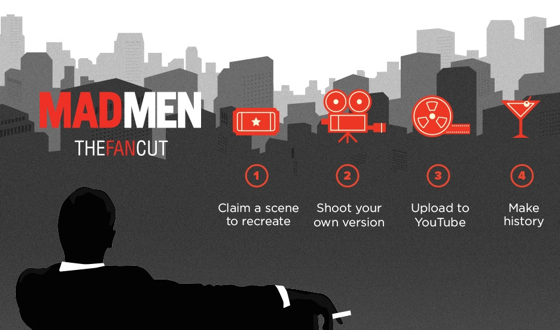 Visit madmenfancut.com now to claim your scene!